JAKARTA, Indonesia (CNN) -- Indonesian Islamic clerics say they have not called for a ban on popular social networking sites like Facebook, and that they are avid users themselves. A group of Indonesian clerics says they do not want Facebook banned. According to media reports, the clerics in East Java had banned the faithful from gossiping and flirting on social networking Web sites such as Facebook and Friendster. They also demanded an end to "lewd and pornographic" content, the reports said. However, Muchammad Nabil Haroen, a spokesman for the Liboryo Islamic Boarding School, told CNN Monday that they were not after a ban and that he and several other clerics had Facebook accounts. Haroen said that a meeting of about 700 clerics at the boarding school last week had issued guidelines on the use of online networks and mobile phones, saying Web sites like Facebook should only be used for "positive" purposes like networking and seeking old friends. 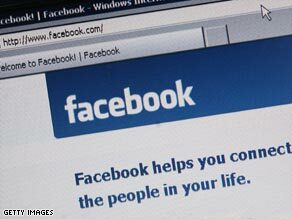 "If Facebook is used for negative purposes like drug dealing or prostitution, then it's forbidden," he clarified. If it was used for such offences the clerics could push for a fatwa or edict, he said. He stressed that the clerics' statement was only a recommendation for the Indonesian Council of Religious Scholars and the Nahdlatul Ulama, one of the country's largest Muslim organizations, to consider. Choli Nafis, deputy head of Nahdlatul Ulama's Fatwa Commission, confirmed the organization had received the recommendation but said: "Facebook is just a tool, like a car or a television. If people use it in a good way, there's no need to ban it." The most recent fatwas include bans on smoking in public and the practice of yoga that incorporates religious rituals like chanting and meditation. These have largely been ignored by Indonesian Muslims. A survey cited by alexa.com, which tracks Internet traffic, and that appeared in The Jakarta Post, found that Facebook was the top ranked site in Indonesia. Nearly four percent of all Facebook users come from Indonesia, making it the largest source of visitors after the United States, United Kingdom, France and Italy, alexa.com found.